Surveillance – Monarch Telecom Corp.
Surveillance of the work force has seen phenomenal growth in the past decade. Surveillance cameras guarding the exterior of your plant or cameras securing the inside of your offices or warehouse, Monarch can supply the parts, installation and training. 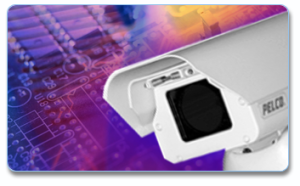 Companies are discovering that the cost of surveillance cameras are minimal compared to the many benefits. Cameras discourage theft, vandalism, fraudulent liability claims, and can be used to increase employee productivity. Our systems let you monitor your office or warehouse. The systems will record and store all activity for your viewing, either in real time or at a future date. Let us know what your business objectives are and Monarch will configure a system that is just right for you.